Once again with their backs against the wall, the United States down Panama 1-0 on a brilliant team goal finished by Clint Dempsey. 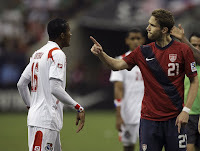 The Americans now move on to the Gold Cup final where they will face archrivals Mexico. Bob Bradley has a tough job, and it’s a job most fans either love him or hate him for. Questionable decisions are something he’s been blasted for before, but on this night, his tactics stood strong. After falling to Panama in the group stage, changes were in order. In the semi-final Bradley rolled out a 4-5-1 disguised in a 4-2-3-1. This formation best suited the American player skill-sets, thus giving the US the best chance of victory. The United States started off the game well, with a 4-5-1 and Juan Agudelo up top. Agudelo was active and impressive throughout his 66 minutes of play. Agudelo’s willingness to take people on was evident and allowed the midfield to move up and aid in the attack. Despite playing well, the score was deadlocked at halftime. It was at halftime when Bob Bradley brought on Landon Donovan. 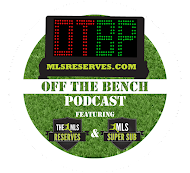 Donovan started the game on the bench for the second match in a row. The previous game, it was due to a late flight arriving back from his sister’s wedding. This match however it’s anyone’s guess why. 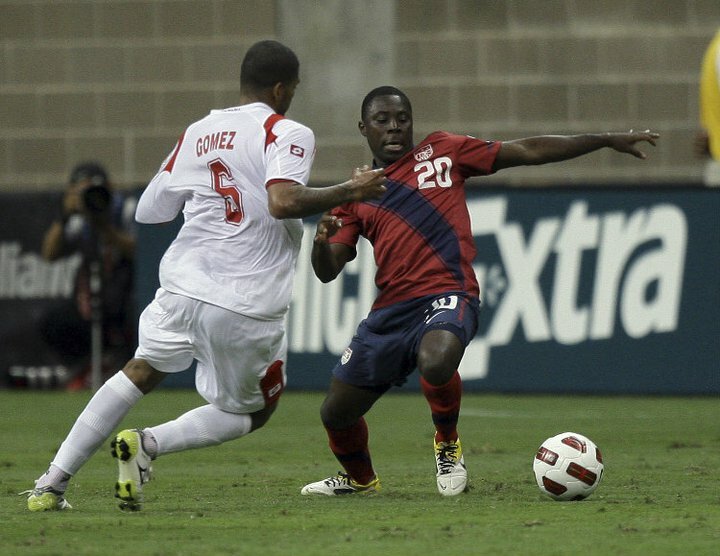 Interestingly though, it was not Donovan’s arrival to the game that changed things, it was Freddy Adu’s arrival. Read it again, Freddy Adu. Adu came on in the 66th minute for Juan Agudelo, causing almost an entire nation of US Soccer fans to scratch their heads. Well score one for Bob Bradley as both of his substitutions factored in the goal. Adu received the ball in the US’s defensive end and curled a left-footed ball over thirty yards to find Landon Donovan streaking down the right flank. The LA Galaxy midfielder collected the ball and played an inch perfect ball across Panama’s net to find a sliding Clint Dempsey. It started with Adu’s brilliant pass. Welcome back Freddy. It was a brilliant team goal that for one moment reminded American fans just how talented the group can be when they are in the zone… now we just need that consistently. What may have been most interesting was how publicly Dempsey backed Landon up during his celebration, pointing and holding him giving him the credit for his goal. It was Dempsey’s goal that stood up as the only goal of the match, winning the game for the red, white and blue. Alejandro Bedoya, who has featured in every game despite not being initially called up, played the entire match and was active on both sides of the ball. Several of his crosses and passes would have panned into assists if not from poor finishing or impressive defending from Panama. With the United States winning 1-0 they booked a ticket to the final against Mexico. A dream matchup for advertisers which likely allowed the CONCACAF planners to breathe a sigh of relief… USA fans though will likely have some concerns as they’ve witnessed their team provide unconvincing performances throughout the entire Gold Cup. Look forward to another match with plenty of talking points regardless. Mexico playing quite well right now. It will tough be for the US. Glad the US finally decided to step up. . .hopefully they'll keep it going against Mexico. I'm so happy for Freddie Adu. He has maintained his professionalism despite all of the hype and fanfare. His road back to the USMNT is a lesson for all players: Keep your nose to the grindstone and keep plugging away. The Ghanan (Ghananian?) has a lot of talent and he demonstrated it with the secondary assist on the winning goal. What a great pass! If Freddy stays focused, I think he'll be fine. He seems to have figured some things out. As for Mexico? That'll likely pose an extreme problem for the USA.